Let's get your business running! When your startup business grows to the point where you can no longer handle your own packaging, shipping and other fulfillment services, you should consider outsourcing your order fulfillment services. At J.M. Field Marketing, we’ll help you reduce your operating cost, workload and liabilities. In addition, our fulfillment services will allow you to do what you do best: accounting, managing your employees and promoting your company.We at J.M. Field Marketing provide an array of fulfillment services. Our fulfillment services include Ecommerce fulfillment, catalog fulfillment, pick and pack services, climate controlled warehouses, kitting services, online order processing, order fulfillment, fulfillment call center, fulfillment pricing and more. Our trained fulfillment California team will store, maintain, assemble and deliver your products to your customers. Our full service fulfillment center is well equipped to handle all of your fulfillment needs. Our team of agents are trained and qualified in storing, maintaining and ordering your inventory. 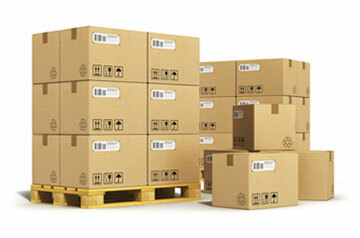 Our warehousing center is on standby to quickly pack, label and ship your fulfillment products with impeccable timing. We also work efficiently through Ecommerce fulfillment. Using this paperless form of business, the online order fulfillment, emails, and fax transmissions makes using our services faster and cost-effective. You can easily register or transfer your product orders names by incorporating our custom built online fulfillment ordering system called All in View. Our definition of fulfillment is providing the best quality products and services to the consumer’s satisfaction. When it comes to service, we don’t stop after the products are delivered; we follow up with our clients well after the fulfillment transactions are complete. Regardless of where your business is located, we’ll provide you with superior fulfillment services. We take care of all time consuming aspects of your business so when you are not running your business, you can enjoy yourself. Entrust your next order fulfillment project to us and we’ll accurately fill it without any flaws. Contact us so we can help run your fulfillment today! QUESTIONS - OR - READY TO GET STARTED? © 2019 Fulfillment California. All rights reserved.